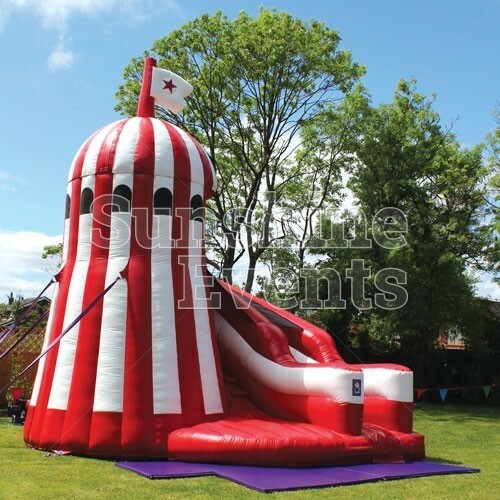 The Beatles probably said it best: “When I get to the bottom I go back to the top of the slide, where I stop and I turn and I go for a ride, ‘till I get to the bottom.” Round and round you go on the Helter Skelter Inflatable Slide Hire! 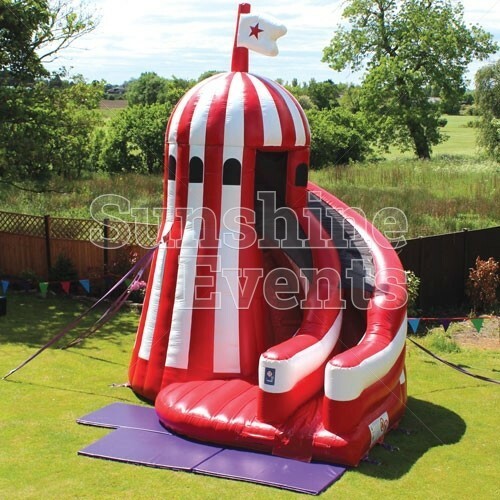 One go just isn’t enough, as you’ll find your guests climbing back to the top for another trip down the slide in the hopes to end up in Cuckoo Land (does anyone remember Jamie And The Magic Torch?). 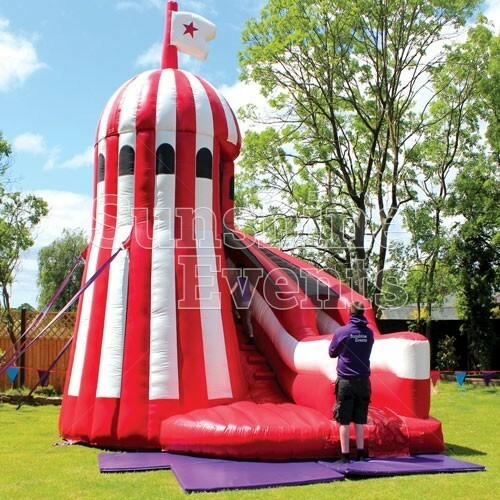 Modelled on the classic Victorian Helter Skelters and emblazoned in red and white, the Helter Skelter Inflatable Slide Hire fits in perfectly with our great range of Side Stalls, completing the funfair theme. 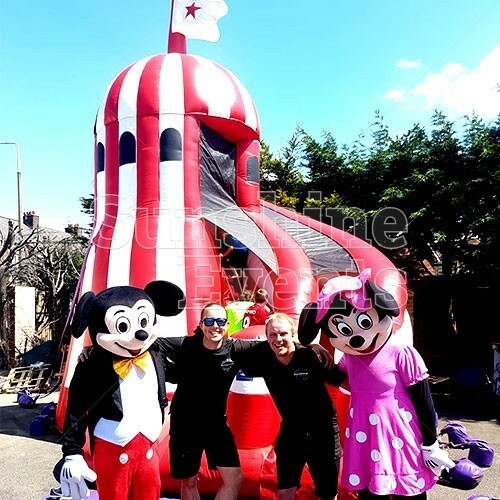 Sure to pass the time at your event for your guests, you'll know you've made the right decision when choosing the Helter Skelter Inflatable Slide to be the star attraction. 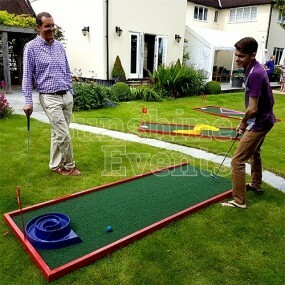 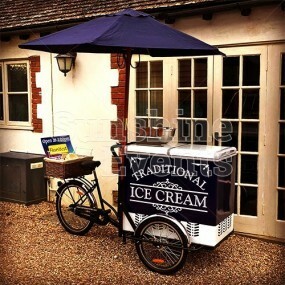 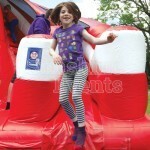 It's quality design and simple 'fun' will delight all - just be sure to have a go yourself! 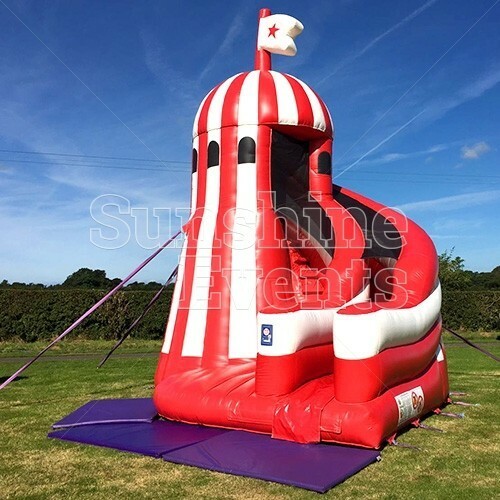 It’s not just popular with children too - we find that adults are just as willing to give the Helter Skelter Inflatable Slide Hire a try, if only to relive their youth! 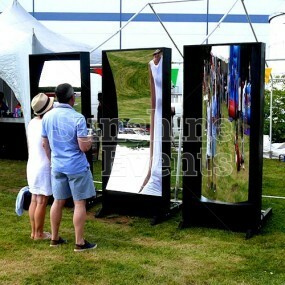 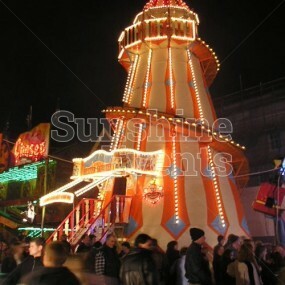 As part of the Funfair Theme, it’s an attraction that you wouldn’t want to miss out on! 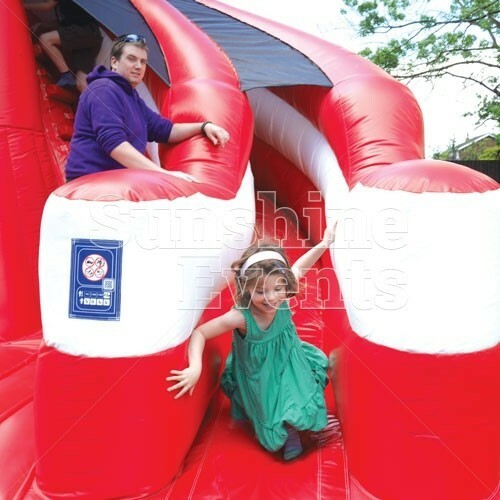 No need for the mat or sack to slide down on, our slides don’t need them as they’re made from a plastic that allows for sliding! 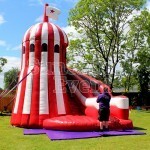 What events are the Helter Skelter Inflatable Slide Hire suitable for? 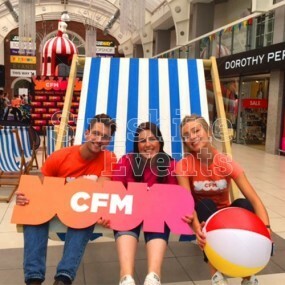 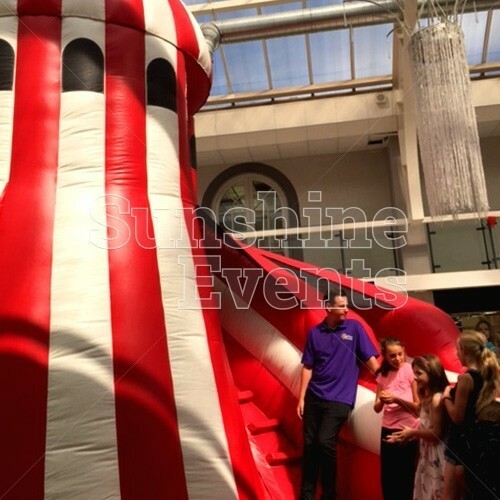 Our great range of Inflatable Slides are always popular at events, especially with children, but the Helter Skelter Inflatable Slide Hire is just as popular at corporate events with that unmistakable funfair theme. 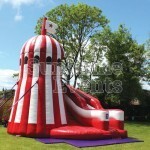 Impressive looking inflatable at 6m high! Did you know? 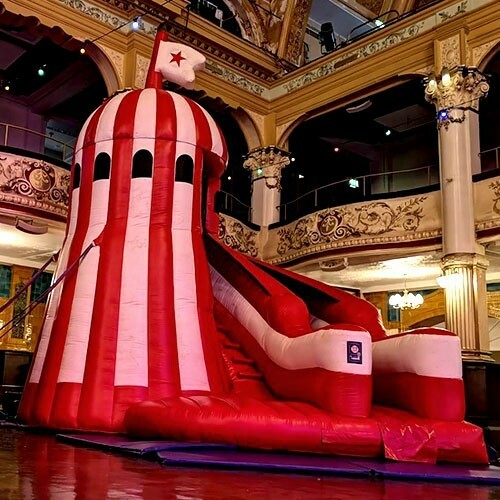 The phrase “helter-skelter” originally means “in confused, disorderly haste”, but don’t worry - we’ll make sure everything runs really smoothly at your event! The Inflatable Helter Skelter was amazing! 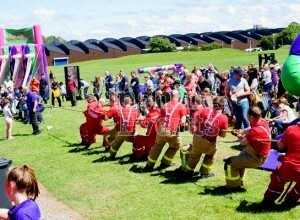 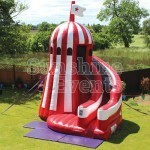 The equipment is in fantastic condition and proved a real spectacle of our event. 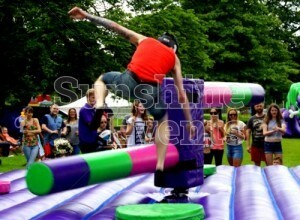 Thank you Sunshine Events. 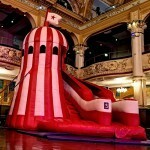 The Helter Skelter was absolutely brilliant, it was bigger and better than I ever imagined. Thank you! 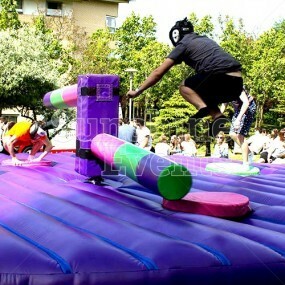 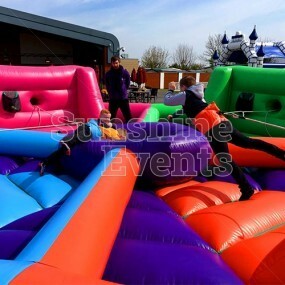 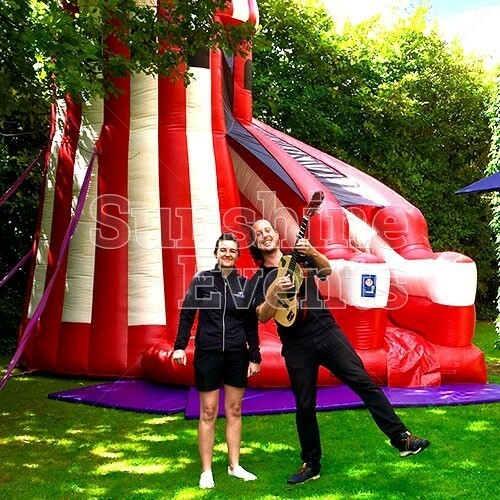 Helter Skelter Inflatable Slide Hire has been added to your Event Quote.